It’s funny, it’s heart breaking, Pulitzer Prize-Winning and Tony Taking and best of all, it’s coming to Huntington’s Keith-Albee Performing Arts Center at 7:30 PM on Thursday, February 24. What is it? BROADWAY’S A CHORUS LINE! “A Chorus Line,” tells the story of 17 dancers as they put themselves on the line to get a job on the line. It’s the chance of a lifetime for the dancers to do what they’ve always dreamed of – DANCE. These stories are from the everyday to the extravagant with legendary songs like “What I Did for Love” and “I Can Do That” this show defines a generation as well as opens the door to an entirely new one. Conceived and originally choreographed and directed by Michael Bennett, “A Chorus Line” features a book by James Kirkwood and Nicholas Dante, music by recent Marshall Artists Series performer Marvin Hamlisch and lyrics by Edward Kleban. This show remains the longest-running American musical in Broadway history and has won the Pulitzer Prize for Drama and Tony Awards, including Best Musical, Score and Book, as well as the New York Drama Critics Circle Award. 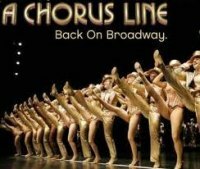 Don’t miss your chance to see A CHORUS LINE Thursday February 24, 7:30 PM at The Keith-Albee Performing Arts Center. Tickets for A CHORUS LINE are on sale now. Tickets are $58, $50 & $45. Tickets may be purchased at the Marshall Artists Series Box Office, located on the right side of the Joan C. Edwards Performing Arts Center, or by calling (304) 696.6656. Patrons can also visit www.marshallartistsseries.org for ticket information. The box office is open Monday through Friday from noon – 5:00PM. Tickets can also be purchased at any Ticketmaster location, including online at www.ticketmaster.com.